The ultimate film lighting tube for TV, event, cinema and photography. London Audio Visual are excited to see the launch of the new Astera Wireless Pixel Tube! This clever little tube is especially designed with the Event, Film, Broadcasting and Cinema Industries in mind. 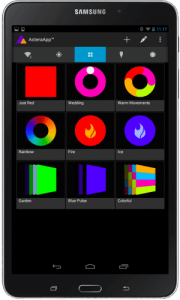 It creates a show stopping light display for any type of event. Optimized for an ultra-high Television Lighting Consistency Index (TLCI), extremely high Colour Rendering Index (CRI) the Asteria tubes offer the best solution for transmitted light and capturing it effectively for a cinematic approach. The Titan Tubes offer peak brightness, dazzling colors, as well as Hue, Saturation and Intensity, which can be set directly from the tube. In addition, the Titan Tube also accepts wired DMX via a special power/data combination cable, making it very versatile. 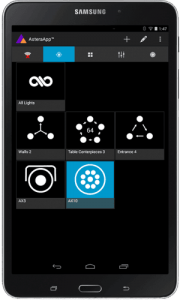 An intuitive and fast control of complex lighting setups with fully customizable programs and effects. Our ASTREA lights are boxed in flight cases of 6 with an ipad and app. 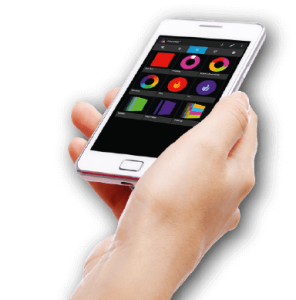 Get FULL CONTROL over your Astera Lights at the touch of your finger. 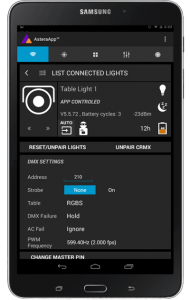 Get a list of all your lights and their statuses, even when controlling them by DMX. Select multiple lights and change their settings together to save even more time. 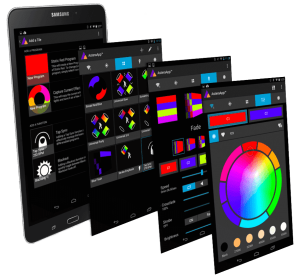 The AsteraApp is designed to work seamlessly with other control methods. 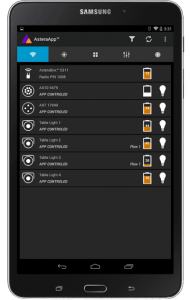 It can set up DMX addresses and footprints for CRMX control and Astera’s IR remote can be used to send App commands to single lights.